Sketched above Azenhas do Mar in Sintra county. Its name dates back to a period of Arab occupation. 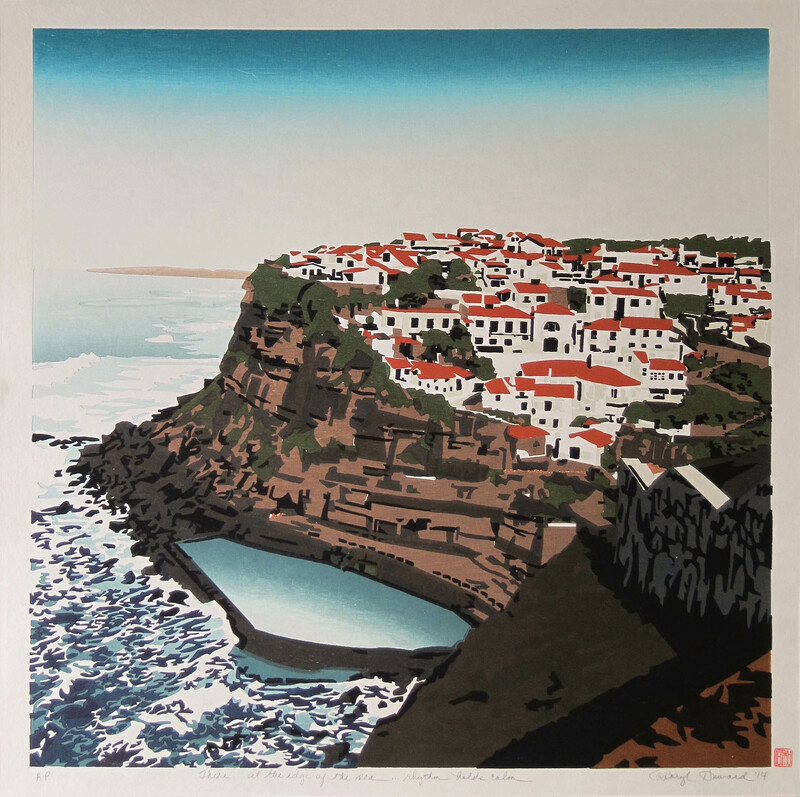 Water mills, “Azenhas”, in Portuguese are its evidence. The wonderful village is nestled between the mountains and sea. This village created a safe “salt” swimming area – filled when tide is in.